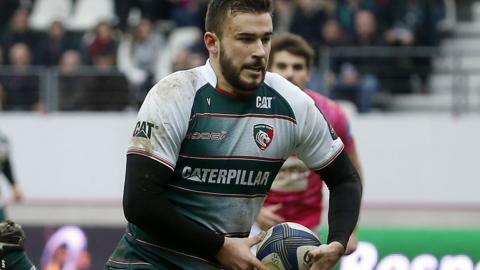 London Irish have agreed a long-term deal to sign Leicester Tigers back Tommy Bell from next season. Bell, 23, can play at either fly-half or full-back and has scored 72 points in 10 appearances in all competitions for the Tigers this season. A former England Under-18 and Under-20 international, Bell kicked 23 points against Irish in a 28-16 Premiership victory at the start of the season. The younger brother of Chris, he began at Sale Sharks before joining Wasps. "I'm delighted to be joining London Irish next season," said Bell. "Having met the coaches, there's a clear vision of where they want to take the club, which is exciting."